The weather forecast was very good for the day ahead as this is usually a hot topic of conversation, and as we arrived it was already sunny and warm. This show at Capesthorne Hall is always a favourite for the Spring Bank Holiday Weekend. We had a mix of cars, three Mk1s, four Mk2s and just the one Mk3. We brought sausages and baps and Jean soon had them on the go for us all. We were thankful for the event shelter, which offered us the shade we needed as the day progressed and it grew hotter. We had plenty of visitors to the stand asking questions about the cars and the Club. 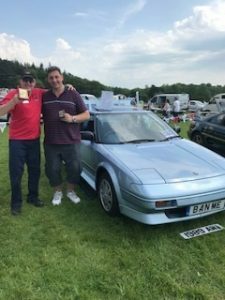 The arena competitions commenced at 11.00am and before lunch we had cars entering different classes, two of which won awards: Ian Howe entered the 1980’s class and was awarded the Runner Up place and I was awarded 1st place in the Sports and Convertibles class. 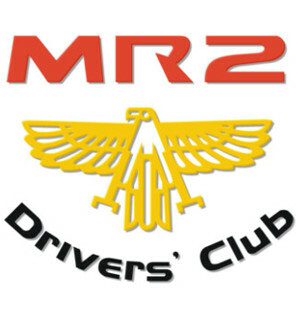 Dave Hall entered too and had a good banter with the commentator about his car and his nick-name “Sticker-Dave” – for those who know him and his unique Mk2 G-Limited you will understand why!